Karen, David, sweet Kyle and a gorgeous Boston day! 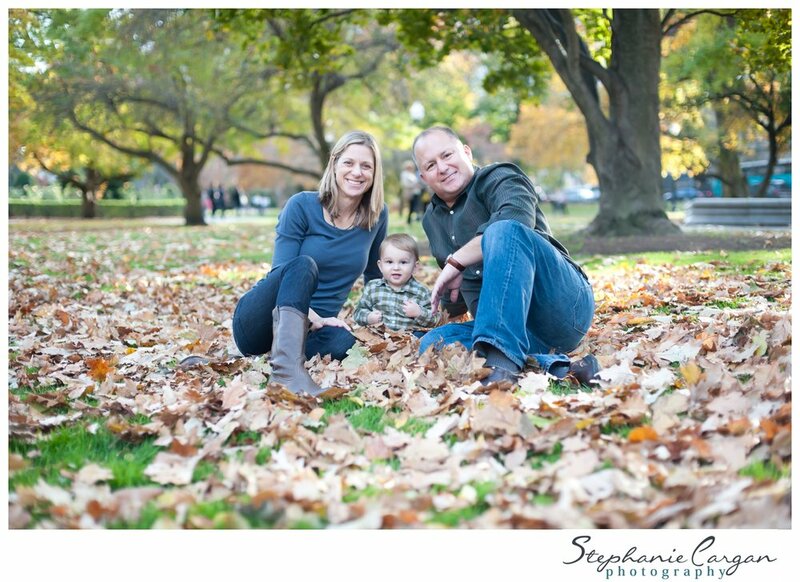 I spent the afternoon of that gorgeous November day a couple weeks ago with Karen, David and their adorable son, Kyle. There's just such a distinct feeling walking through Boston on a beautiful day when everyone is out and about enjoying the weather. Makes me amazingly grateful to live in this city! (well.. not directly in the city anymore.. ooooh suburban life). I used to work with Karen before Kyle arrived and I'm so glad that we were able to reconnect and capture this important time in their lives! I just love that this gives me the opportunity to connect with so many people, both new and old friends. And to be able to give them memories that they will have forever! I met up at Karen and David's gorgeous home before taking a stroll down to the Public Garden. Here's Kyle! Kyle LOVES this drum... can you tell? I love this. This is the exact spot where David proposed to Karen. And now look at their beautiful family!